On behalf of the Committee on the Public Understanding of Religion, it is my great pleasure to announce that Dr. Ziba Mir-Hosseini will receive the 2015 Martin E. Marty Award for the Public Understanding of Religion. The award recognizes extraordinary contributions to the public understanding of religion by individuals whose work enriches scholarly discourse as well as enhances the understanding of religion beyond the academy. As a scholar-activist, Dr. Mir-Hosseini is perfectly suited for this award since her work bridges the divide between the academic study of Islam and public understandings of Islam, Muslims, and religious feminisms at an international level. Dr. Mir-Hosseini graduated with a BA from the University of Tehran and received a PhD from the University of Cambridge Faculty of Social and Political Sciences. Dr. Mir-Hosseini returned to Tehran soon after the 1979 Revolution, but was refused teaching positions because she was not deemed religious enough to teach at a university. She also discovered that the newly Islamized country had instituted gender-discriminatory laws that made it difficult for her to receive a divorce from her husband. Faced with this unexpected challenge, Dr. Mir-Hosseini studied the Islamic law instituted by the state and gained enough expertise to successfully negotiate a divorce for herself. This experience was defining for Dr. Mir-Hosseini, who has since committed herself to improving women's rights in Muslim-majority countries by working within the framework of Islamic law. This approach, of using Islamic religious reasoning as a source for fighting gender discrimination instituted in the name of Islam, was a pioneering move in Muslim feminist thought. Indeed, Dr. Mir-Hosseini was one of the first scholars to even use the term “Islamic feminism,” which she described as the “unwanted child of political Islam.” She was critiqued for using this term by secular feminists and conservative Muslims, both of whom saw “Islam” and “feminism” as antithetical categories that were mutually exclusive and could not possibly work together to improve women's rights. Nevertheless, Dr. Mir-Hosseini insisted on the mutually beneficial and edifying nature of both Islam and feminism, such that thirty years later, Islamic feminism has become a robust and thriving field of study. As a pioneer in the field of Islamic feminism, Dr. Mir-Hosseini has produced a diverse body of scholarship. Perhaps her most influential work is a documentary she produced with Kim Longinotto, titled Divorce Iranian Style. This film documents the experience of several women as they seek divorces through the Iranian family court system. Through their stories, we see how “Islamic Law” bends and twists to the needs of state actors, powerful men, and persistent women. We see faces and hear stories of real women; we witness the role of class, education, gender, and culture interacting with each other; we see how bureaucracy hinders women's access to justice; we see how appeals to Islamic law can empower and disempower; and we see vibrant, passionate women making their way through the courts, trying to rid themselves of unwanted marriages. Although the film came out over twenty years ago (1998), it is still highly relevant and is taught in courses all over the world. On Youtube, it has been viewed over one million times. More recently, Dr. Mir-Hosseini produced another film with Kim Longinotto called Runaway, which was shot in a shelter for runaway girls in Tehran in 2000. Both films have won several awards—Divorce Iranian Style film won over thirty international awards, including a 1999 BAFTA (the UK-equivalent of the Oscars) and Runaway won at least fifteen awards. Both films provide the public with accessible, intelligent, and nuanced ways of thinking about women's experiences in Iran. Dr. Mir-Hosseini has also written over thirty book chapters and over forty journal, online, and encyclopedia articles on the topic of gender and Islam in addition to several books and coedited volumes. 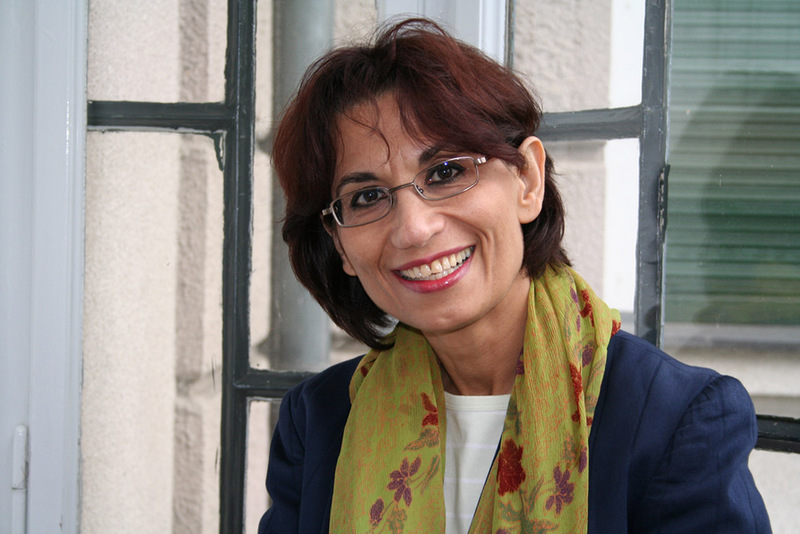 Like her filmography, Dr. Mir-Hosseini's written work has a global audience. Her book Marriage on Trial: A Comparative Study of Islamic Family Law in Iran and Morocco, for instance, has been translated into Indonesian and her Islam and Gender: The Religious Debate in Contemporary Iran has been translated into Japanese. Most recently, she coedited a volume entitled Men in Charge? Rethinking Male Authority in Muslim Legal Tradition which includes articles from Muslim scholars around the world who rethink dominant conceptions of male authority (qiwama) and guardianship (wilaya) in Islamic family law. This volume fulfills Dr. Mir-Hosseini's mandate to produce constructive feminist Islamic knowledge that challenges patriarchal interpretations of Islam by offering alternative, egalitarian visions of Islam. In addition to producing accessible scholarship, Dr. Mir-Hosseini has made concrete and concerted efforts to translate her scholarship into activism so that her work impacts Muslim women's lives in positive ways. She has done this through her public speeches, media appearances, and consultancy work around the world. For example, she helped conceive and design a project for the Oslo Coalition for Freedom of Religion and Belief under the rubric “New Directions in Islamic Thought and Practice” and was a technical advisor on reproductive rights in Islam for the United Nations Population Fund, analyzing the Shi'a personal status law in Afghanistan in 2009. As a “freelance scholar,” Dr. Mir-Hosseini has been affiliated with one or more institutions in an honorary capacity throughout her career. Since 1998 she has been affiliated with SOAS as a professorial research associate. She remains engaged in teaching in the classroom and the academy, having served as a teaching or research fellow at Aarhus University, Cambridge University, New York University, Oslo University, National University of Singapore, Agha Khan University, University of Exeter, and Wissenschaftskolleg zu Berlin. Dr. Mir-Hosseini is a cofounder of Musawah (translated as “equality”), “a global movement for equality and justice in the Muslim family.” Musawah's goal is to illustrate that Islam and international standards of human rights are compatible, and to challenge the patriarchal interpretations of political Islam as legislated in various Muslim-majority nation states. Musawah emerged from the Malaysian NGO Sisters in Islam (SIS), which has been advocating for women's rights in Malaysia and the Muslim world. Dr. Mir-Hosseini has been an active organizer and teacher in training workshops organized by both SIS and Musawah, for human rights activists, students, and grass root communities around the world, including Egypt, Ethiopia, India, Malaysia, the Maldives, and Sri Lanka. Dr. Mir-Hosseini is also convenor of the Musawah Knowledge Building Programme and steers the working group, which is responsible for multifaceted research initiatives such as the one that resulted in the Men in Charge? volume mentioned above. Dr. Mir-Hosseini's work represents a new kind of scholarship that can be a model for modern scholarship. Her story embodies the shifting academic landscape in which the academy cannot provide tenure-track jobs for the majority of PhDs. In today's world, newly minted PhDs face the pressure of following nontraditional paths, finding ways to put their degrees to use in nonacademic settings. At the same time, the academy has come under increasing criticism and pressure to remain relevant, to produce knowledge that can be accessed outside the classroom, and to speak to the public. Further, the academy has begun to appreciate the value of interdisciplinary scholarship, of breaking out of departmental and disciplinary silos to better reflect the interconnectedness of our globalized world. In this time when the academy is shifting and evolving, it is especially significant that we are recognizing Dr. Mir-Hosseini, whose career traverses the traditional divides of scholarship and activism, social sciences and humanities, insider and outsider, and academic and public scholarship. We are thrilled that Professor Ziba-Mir Hosseini will join us at the 2015 Annual Meeting in Atlanta. Please join us for the Marty Forum on Sunday, November 22, 2015, 3:00–4:30 pm, where Dr. Mir-Hosseini will discuss themes of her work with Professor Diana Eck, professor of comparative religion and Indian studies & director of The Pluralism Project, Harvard University.